Day 27 photo: Eating dinner at the market. Took a stroll around the market at 6.30pm, when most of the sellers had packed up shop for the day and people are heading home or going out for dinner. 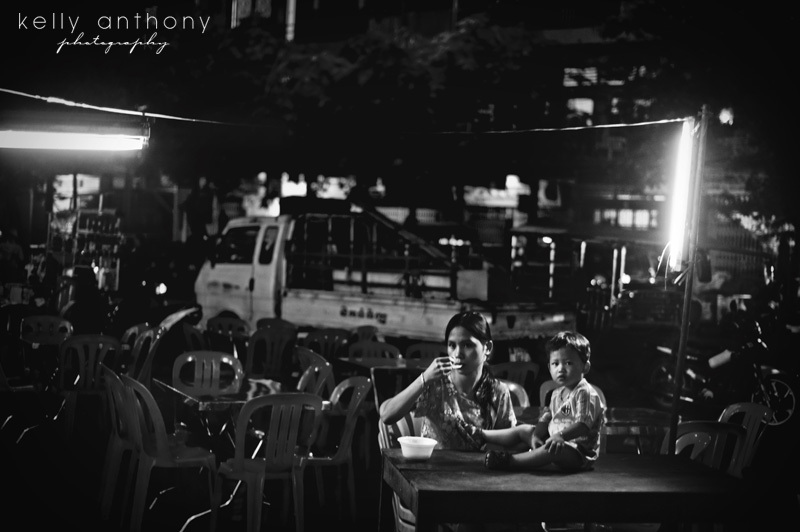 This mother was eating dinner with her young son.